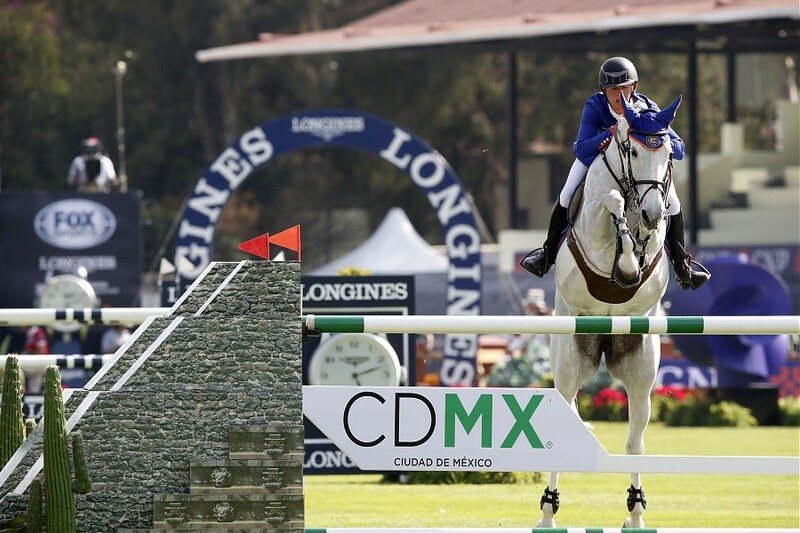 Irish riders were in excellent form on the opening day of the five-star fixture in Mexico City yesterday (Thursday), where Bertram Allen has helped Valkenswaard United into the lead following the opening Global Champions League competition. Allen and his long-term partner Molly Malone V cruised around the course with a fast clear in 72.57 seconds and when his Italian team mate Alberto Zorzi also went clear in 79.23 with Contaga, that put Valkenswaard at the top of the standings heading into Saturday’s second round. The Paris Panthers pairing of Harrie Smolders (NED) and Gregory Wathelet (BEL) lie in second, with current GCL ranking leaders the Shanghai Swans’ Peder Fredricson (SWE) and Cork’s Shane Sweetnam taking third. In total, seven teams are on a zero score meaning Saturday’s decider is sure to be a thriller. The all-Irish Miami Celtics team of Shane Breen (Ipswich van de Wolfsakker) and Michael Duffy (Quintano) are in ninth place on four faults. Speaking afterwards, Bertram Allen said: “We were out to get a good start today. Alberto was clear and Molly was quick so we’re in the lead. But there are a few clears, and quite a few on four faults so Saturday will be very important. Allen’s round with Molly Malone also saw them take third place in the individual competition, while Shane Sweetnam (Kirschwasser SCF) finished fifth in a class that was won by Colombia’s Carlos Enrique Lopez Lizarazo with Ulhane de Conde. The Banorte Trophy 1m55 is the highlight this evening in Mexico before the Global Champions League and Global Champions Tour Grand Prix takes centre stage on Saturday.